Las Vegas Online Advertising/ Search Engine Advertising (SAO) is an internet advertising model used to direct traffic to websites, in which advertisers pay the publisher (typically a website owner) when the ad is clicked. It is defined simply as “the amount spent to get an advertisement clicked.” There are a few companies that offer this type of direct advertising. We deal with Google exclusively. We help companies set up and work through the details of setting up a Google Ad Words account and launching ad campaigns. We charge an hourly fee for this service, based on a free initial consultation. Here’s a little more information to give you a basic primer on Google Ad Words and PPC adverting. Set up a Las Vegas Online Advertising account and advertise your business on Google and get exposure as soon as you go live! 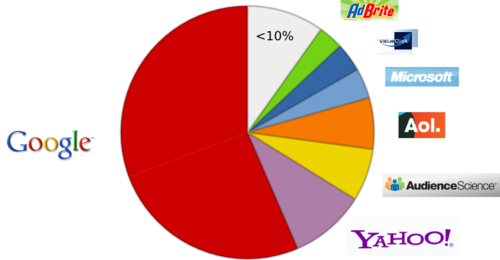 No matter what your Las Vegas Online Advertising budget, you can display your ads on Google and our advertising network. Pay only if people click your ads. (4) A conversion goal. With these four components in place, you’re ready to get started with your PPC advertising. With hundreds of thousands of high-quality websites, news pages, and blogs that partner with Google to display AdWords ads, the Google Display Network can reach users all over the web to help you drive conversions. Choose from text, image, and video formats to communicate your message. Using your keywords, Google’s targeting technology can automatically match your ads to webpages in our Display Network that are most relevant to your business. For example, an ad for a digital camera may show up next to an article reviewing the latest digital cameras. If you want greater control, use placement targeting to hand-pick specific sites or sections of sites you want your ads to appear on. With the Google Placement Performance Report, you have visibility into where all your ads appear. Review your ad’s performance on a site-by-site basis to see impression, click, cost, and conversion data, and use this data to identify well-performing sites to target more aggressively and low-value placements that require content optimization or exclusion.